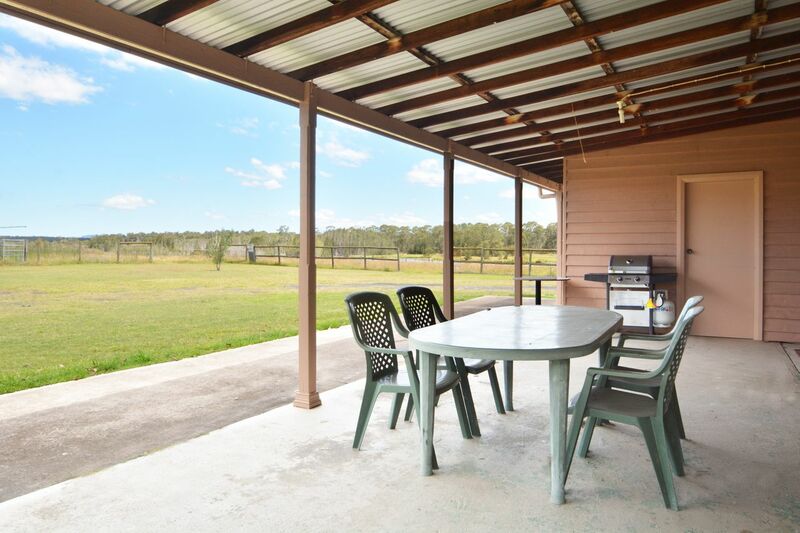 Located on 53 acres, this spacious homestead is surrounded by covered verandas with views across the lake to the Brokenback Ranges. It is a walk to Hunter Valley Zoo and you can even hear the Lions roar in the mornings. 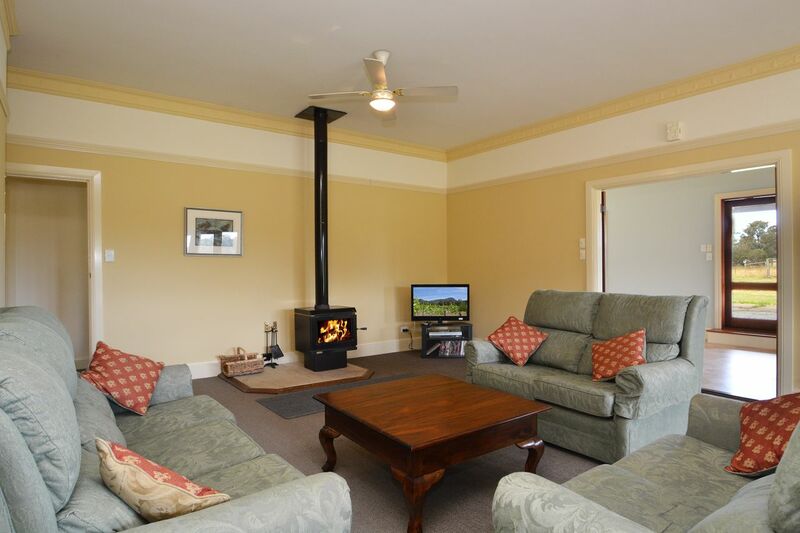 The lounge room contains a log fire and TV/DVD where you can spend relaxing evenings. 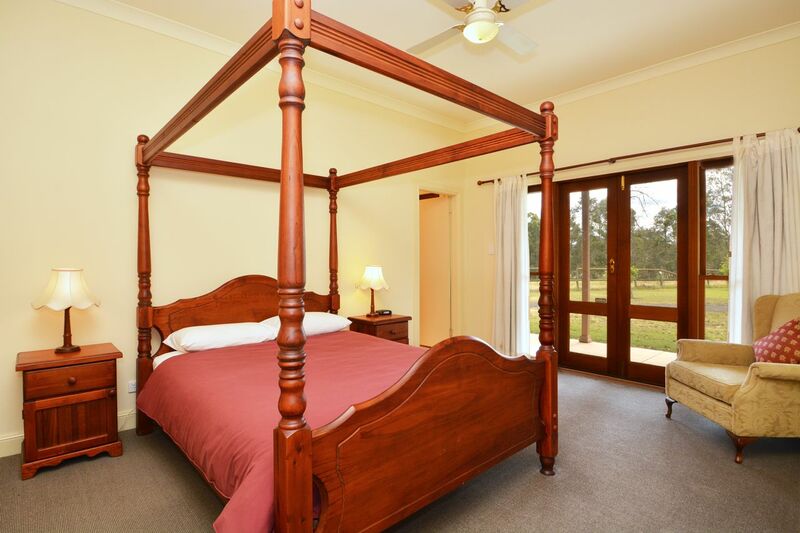 The main bedroom contains a four poster Queen sized bed, en suite and French doors opening onto the verandah. 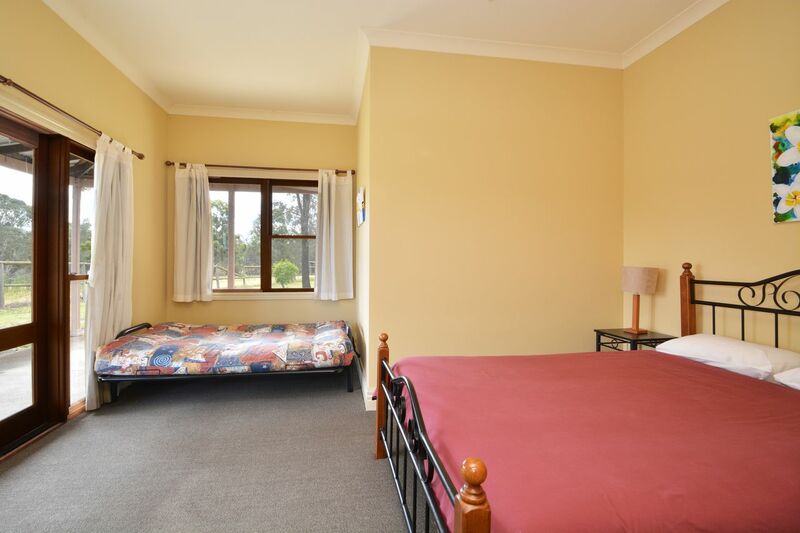 Bedrooms 2 & 3 have queen-sized beds and face north. 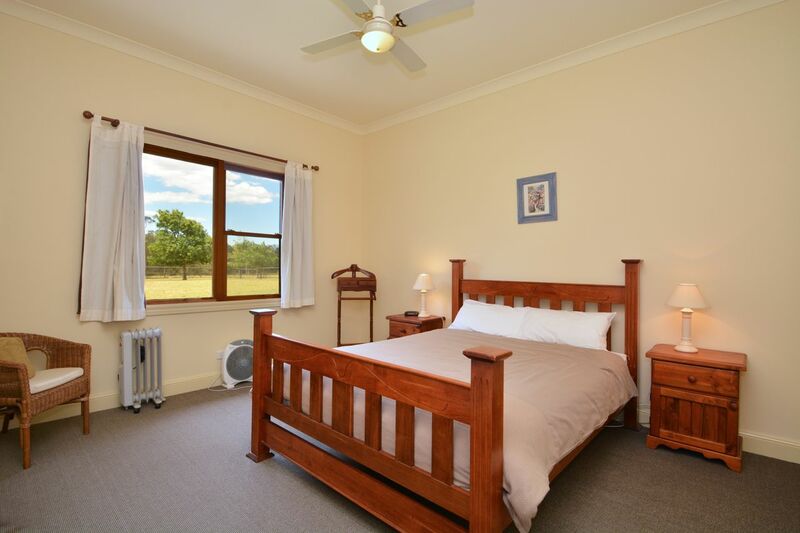 Bedroom 4 also has a queen-sized bed and French doors that open onto the verandah. A double sofa-bed can be prepared for groups of more than 8. The dining room and table is large enough for a party of ten. 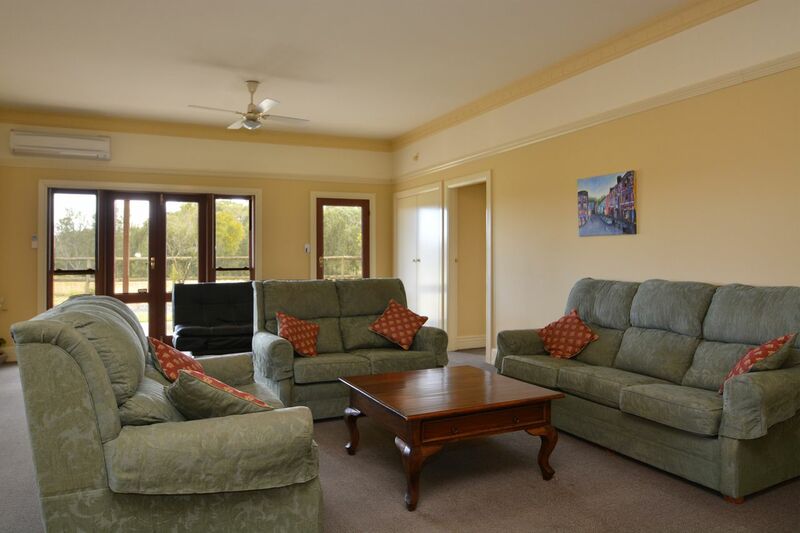 The spacious living area is the perfect spot to recline after a hard days touring of the Hunter. The main bathroom has a separate shower and a full-sized bath, which is perfect for relaxing at the end of the day. 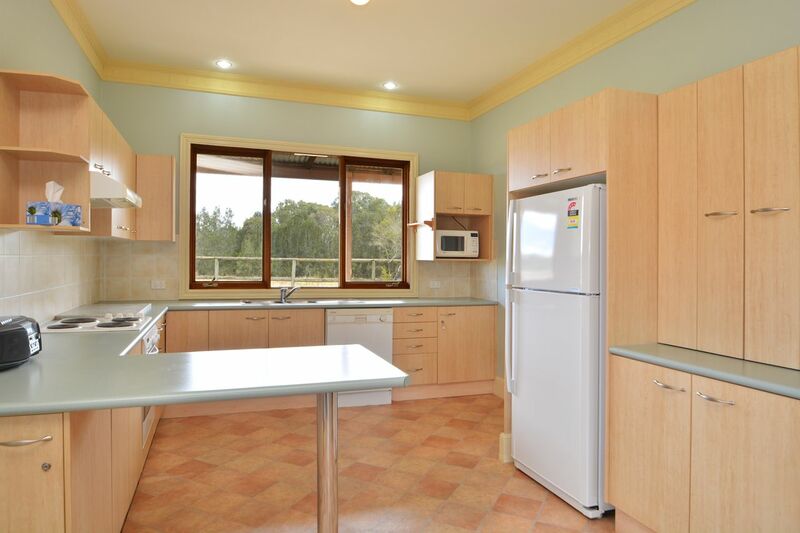 The well-equipped kitchen offers oven, stove top, microwave, dishwasher, dinnerware, cutlery, glasses, cooking utensils and ovenware. A coffee machine completes the package. The outside BBQ area is undercover and includes an outdoor table setting. Fresh linen is provided for all registered guests. 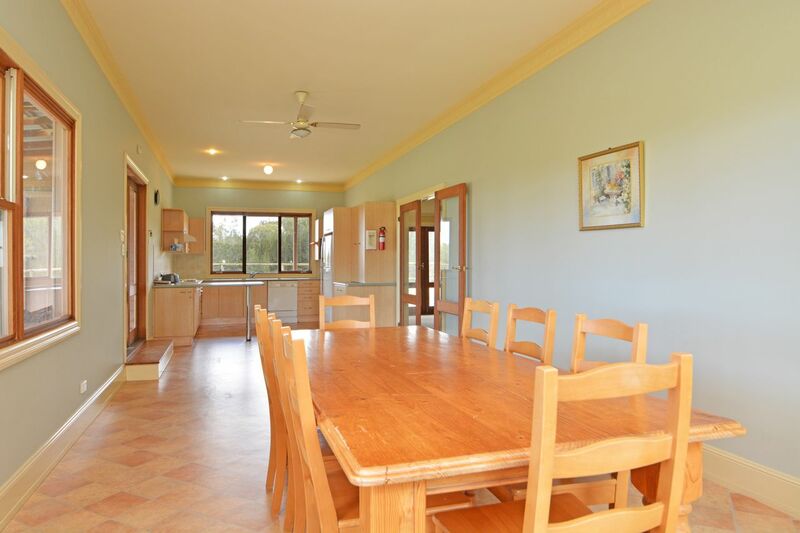 This spacious, airy and comfortable homestead is meticulously clean and very well-appointed. Spread over one level it is suitable for all ages and mobilities. The property was perfect. 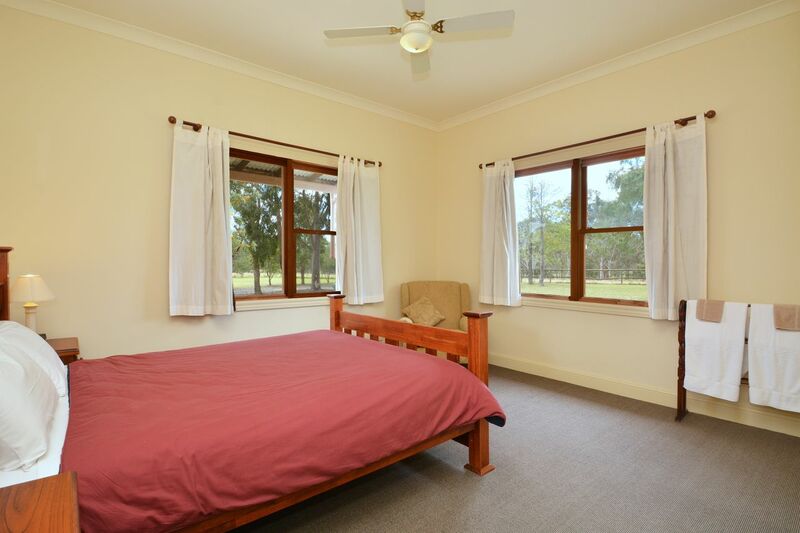 Big rooms, comfortable and warm. Location was brilliant. Central to the Hunter Valley vineyards. For a winter weekend away the fire was a fabulous necessity! A spacious home with good bedding and kitchen facilities The outdoor covered patio has a large table which seats 10 people comfortably. suited our needs, very warm and close to everything. Had a perfect stay, would love to stay again sometime. Myself and my friends have really enjoyed to staying at Weekenda's. Thank you for everything, I strongly recommend it.